The starting positions for Saturday night’s Toyota Owners 400 at Richmond Raceway will differ significantly from after qualifying on Friday. 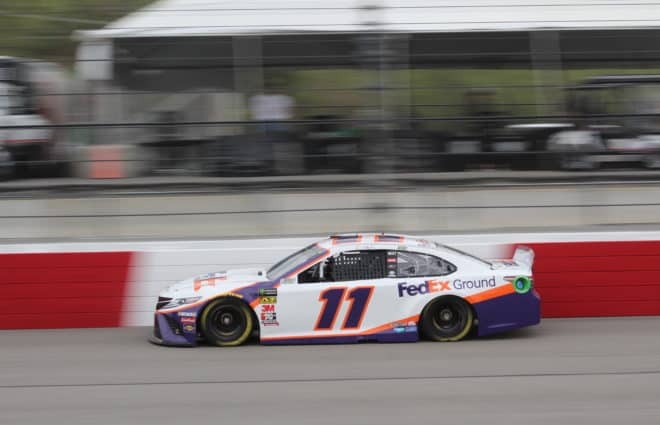 Denny Hamlin, Aric Almirola, Chase Elliott, Daniel Suarez, Jimmie Johnson, Erik Jones, Matt Tifft, and Joey Gase all failed Monster Energy NASCAR Cup Series pre-race qualifying at Richmond Raceway. These drivers will all forfeit their respective starting positions for the Toyota Owners 400 tonight (April 13). Three teams failed pre-race inspection on their second attempt. Interestingly, one car from each of the three manufacturers failed, so the pre-race inspection failures are not manufacturer-related. NASCAR ejected race engineers from the No. 36 Front Row Motorsports Ford team driven by Tifft, the No. 11 Joe Gibbs Racing Toyota driven by Hamlin, and the No. 9 Hendrick Motorsports Chevrolet driven by Elliott. All three teams passed inspection on their third attempt, so nobody will receive a pass-through penalty nor an L1 penalty. 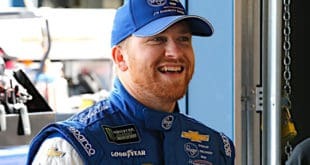 The other five teams passed pre-race inspection on their second attempt, so the only penalty to those five drivers is they will start at the back of the field and lose their pit stall selection. Of the eight drivers who failed pre-race inspection, only Denny Hamlin has a victory this season. 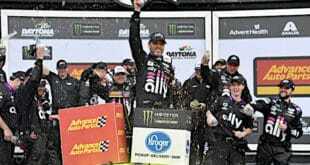 The other seven drivers will have their work cut out for them to win the Toyota Owners 400. Fortunately for them, NASCAR announced there will be a competition caution at lap 40, so those eight drivers and teams will have the opportunity to gain ground. The Toyota Owners 400 at Richmond Raceway is an impound race. What that means is the teams cannot adjust the cars after qualifying, which took place Friday. Kevin Harvick won the pole, but all starting positions for the Toyota Owners 400 were dependent on teams ability to pass pre-race inspection. The No. 4 Stewart-Haas Racing team successfully passed inspection, so Kevin Harvick will lead the field to green in the Toyota Owners 400. There are three tiers of penalties for failing pre-race inspection in an impound race. The first tier, being the lowest, is teams lose their qualifying position and pit stall selection. A second failure results in a crew member ejection by NASCAR. 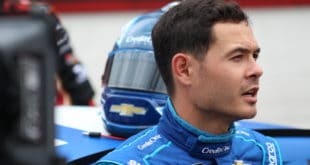 If a team fails pre-race inspection at least three times, the driver of the car must complete a pass-through penalty upon the wave of the green flag at the Toyota Owners 400. At Richmond Raceway, a pass-through penalty should result in the driver losing at least one lap. Additionally, NASCAR penalizes the team with an L1 penalty, likely a 10-point penalty.